Is email marketing more effective than search engine traffic or social media marketing efforts? A new study from Custora says it is. Well, kind of. According to the report, businesses of all sizes must have a social presence to be taken seriously. We knew this already. What we didn’t know before this report was that online retailers have quadrupled the rate of customers acquired through email to nearly 7 percent over the last four years. So much for email marketing being dead! According to Wired.com, Custora analyzed data from 72 million customers shopping on 86 different retailer sites. They tracked where customers were clicking from (email, Twitter, Google, etc.) and what and how much they bought, not just on that visit but for the next two years. Customers who came to retailers from search were more than 50 percent more valuable than average. Why? They were more likely to shop and spend more. Email customers were nearly 11 percent more valuable than average. Facebook customers were just about average. Twitter customers were 23 percent less valuable than average during the two years following that first click. The Long Arm of Email—According to KISSmetrics stats, there are three times more active email accounts out there than Facebook or Twitter accounts… nearly 3 billion to be exact! In fact, the daily total of social media posts on both platforms only amount to around 0.2 percent of the total amount of non-spam emails sent per day. 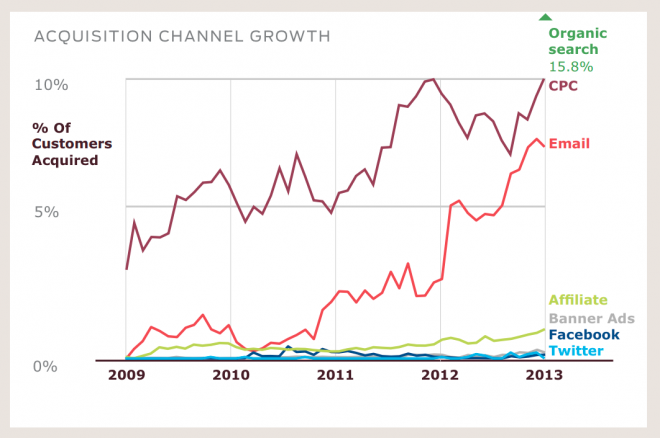 More Personal— Part of email’s appeal is that subscription is usually opt-in. Customers who subscribe to emails from your business are more likely to click on and open an email (and at least consider a personalized email offer). Email distribution lists offer more focus, targeting, and customization than Facebook and Twitter ads. 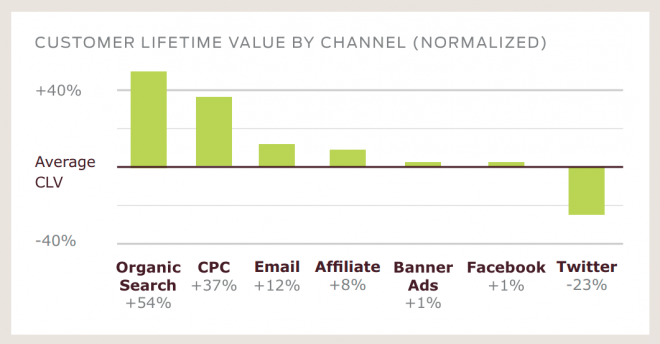 The more personalized the user experience, the higher the click-through-conversion rate. Better Visibility— Social media gives no guarantee that your posts will be seen, period. Even if a subscriber deletes your email before opening it, he or she still read the email subject line. Try using a catchy subject line to increase reader open rates and click through. More Creativity— Let’s be honest: how creative can you really be with a 140 character limit? It can be hard to engage your customers in a real way with such brevity. The good news is that emails have no character limit! Consider including a well-designed graphic element or attachment combined with a personalized offer to really make your email marketing pop. Want to learn more about how email attachments can transform your email marketing campaigns? Register for SmartFile’s latest webinar, ‘Supercharge Your Marketing Campaign with File Attachments’, presented by CEO and co-founder John Hurley. He will discuss the benefits of using SmartFile Attach, a new app offering from ExactTarget’s HubExchange.